Refresh your Facebook account by clicking on the small refresh icon, loctaed in the right corner. When you initially added your Facebook account, you may have clicked “Not Now” and did not give permission to eClincher to post on your behalf. If that’s the case. Please delete your Facebook account and add it again. 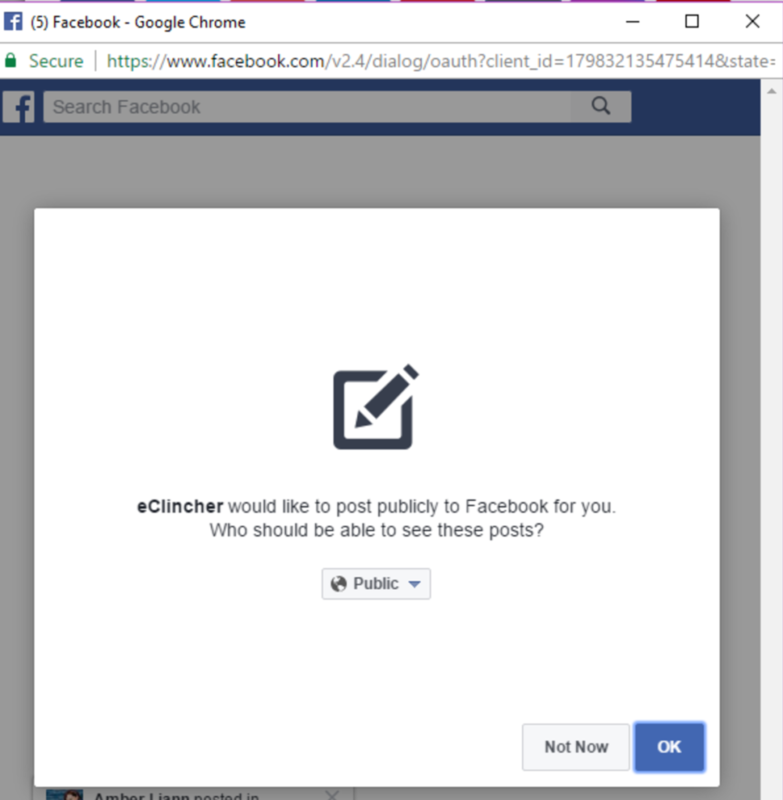 Make sure you click “OK” to allow eClincher to post on your behalf (this will give our app permission to sent your posts to Facebook and publish them).